Learn Dutch for free at the Dutch Language Pub for Expats! 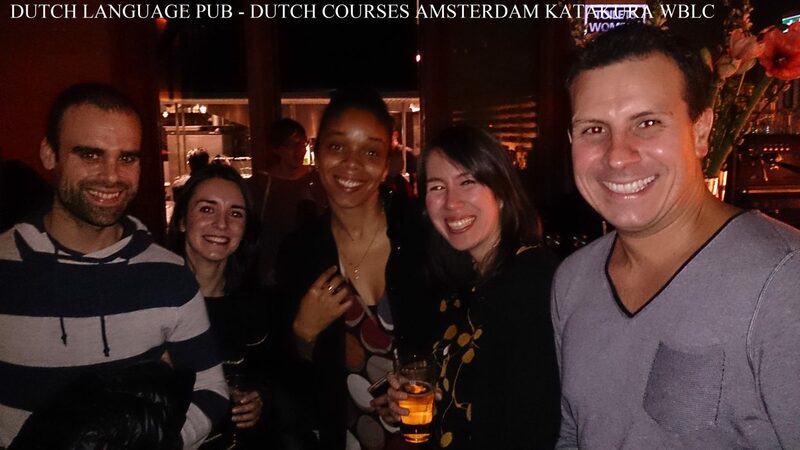 Every first Friday of the Month @ 20:00 (sometimes ‘the pub’ is postponed, so please check our Facebook site first). 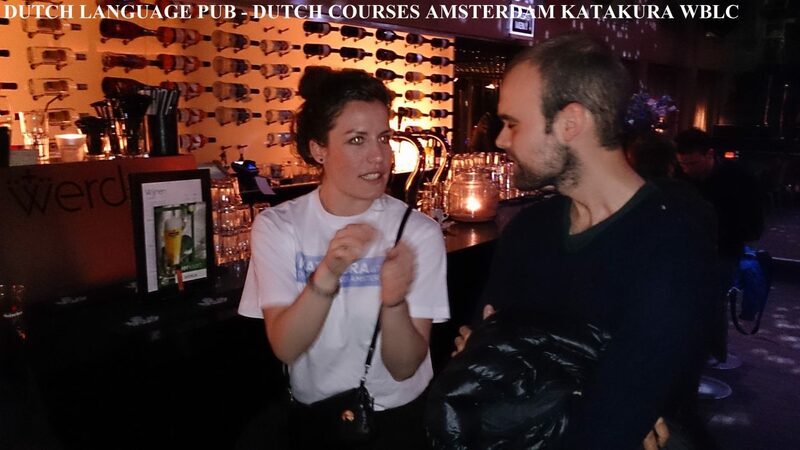 The Dutch Language Pub for Expats is an event where you can practise your Dutch with the help of the Dutch teachers of KATAKURA WBLC. You tell the teachers which level you are and then you will be directed to the appropriate group. In these groups we talk in a very informal way about everything what comes up. The teachers will correct you when necessary. Coming to the Dutch Language Pub for Expats is also a great way to meet other expats who are struggling with their Dutch and to make new friends. We have a NEW LOCATION! 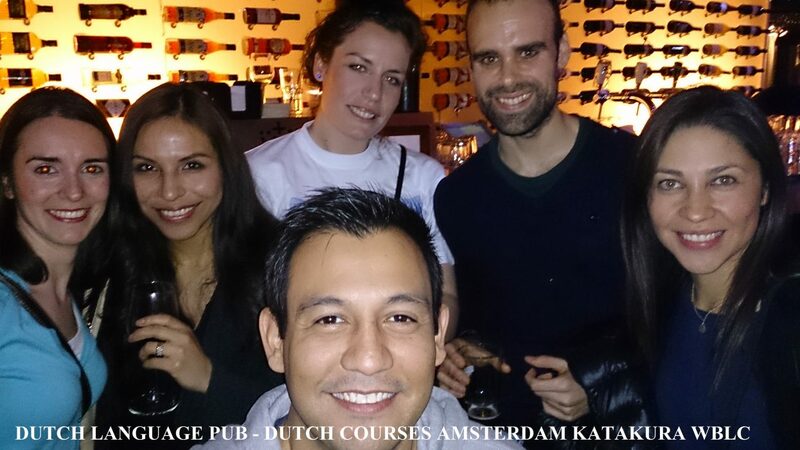 For the first time ever the Dutch Language Pub will be an exclusive event. 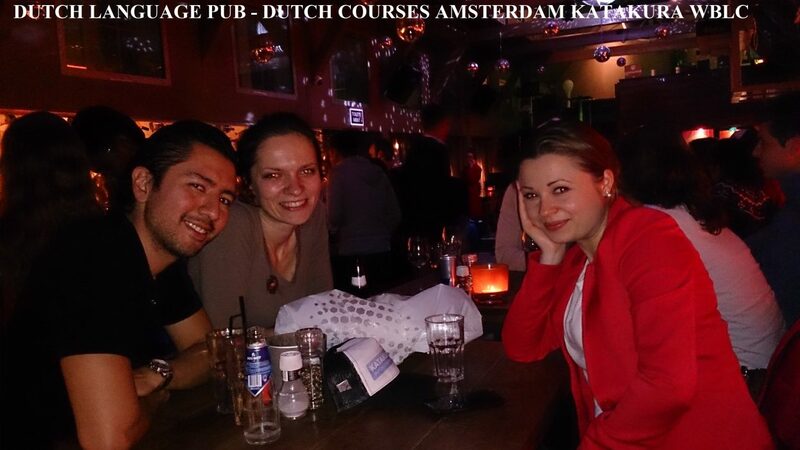 We are renting the stylish Escape Lounge in Rembrandtplein. From 20:00 until 22:00 we have the entire lounge space to ourselves. 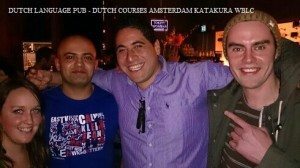 The teachers and the locals wear shirts with the KATAKURA WBLC logo. 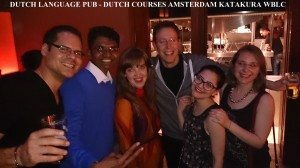 They are there to help you speak Dutch! Please look for them to be sorted into the right group. Free of charge if you like us on Facebook. 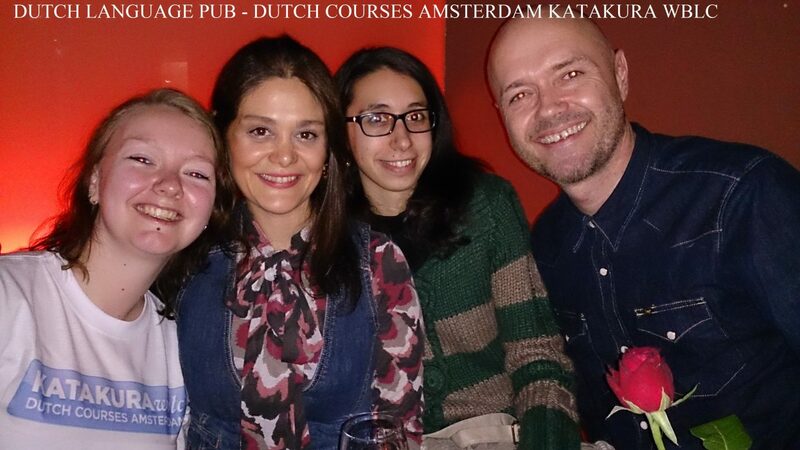 For more information about the Dutch Language Pub: see our Facebook page.